At Mirror Lake Designs, we understand that no matter how beautiful a landscape design may be, it’s difficult to enjoy it when it’s 100 degrees outside. 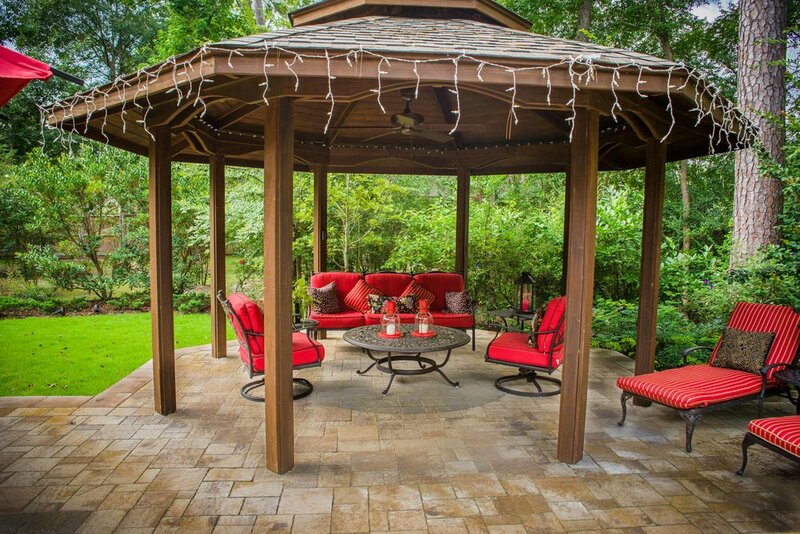 That’s why so many of our designs incorporate gazebos, arbors and outdoor kitchens. 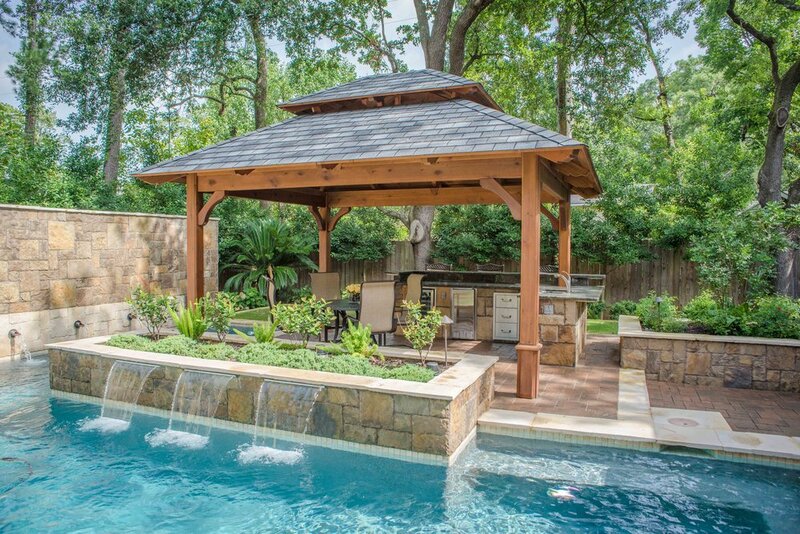 Not only are these structures aesthetically appeasing and fit in so naturally within The Woodlands environment, they also provide relief from the sun and heat. 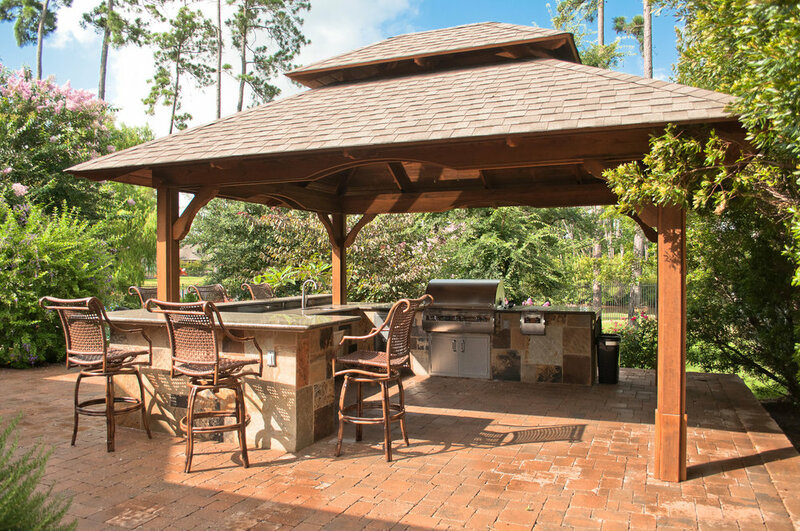 And like any other element of the landscape design, our gazebos and outdoor kitchens are designed to meet the needs of the homeowner. These structures reflect their lifestyles. 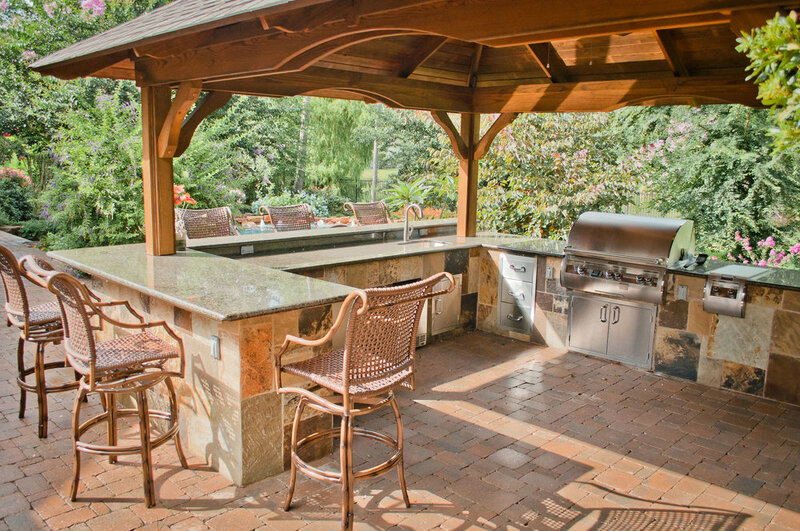 Is the outdoor kitchen fitted with a sink? A side burner? A wine cooler? Television? 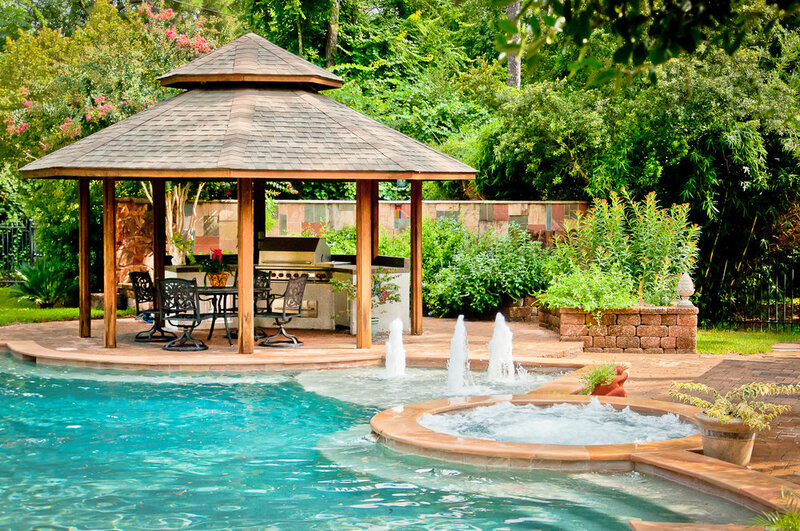 Does the gazebo offer a private area within the backyard, or does its orientation provide a comfortable view to supervise the swimming kids? These questions, and many, many more are part of the design process at Mirror Lake. Because when you work with us, you are working with artists and craftsmen, not another contractor. 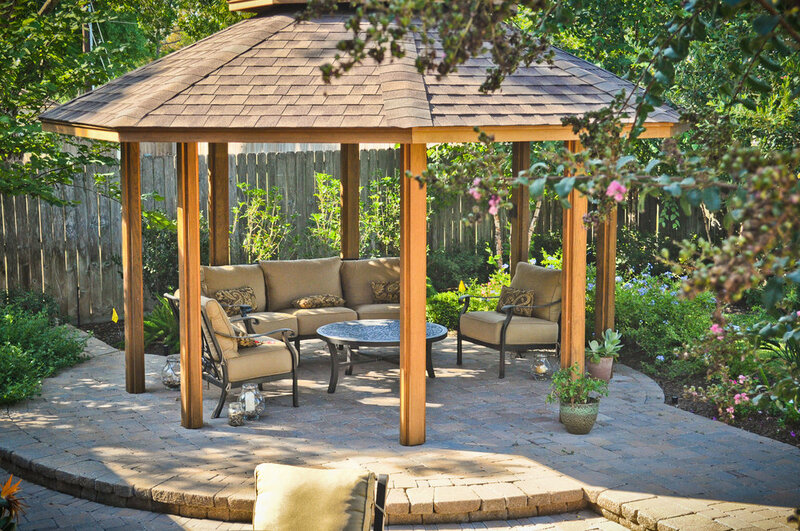 The gazebos and outdoor kitchens in our designs work in concert with the surrounding plantings and water features. Let’s face it, you didn’t move to The Woodlands or the Houston area because of the seasons. It is hot. It is humid. And damp air often hangs in the air. 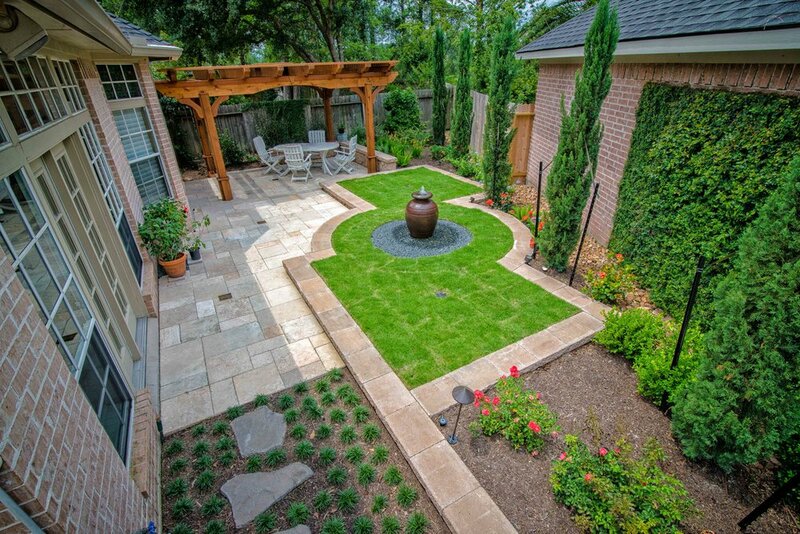 That’s why Mirror Lake Designs began offering a unique element to our backyard designs. 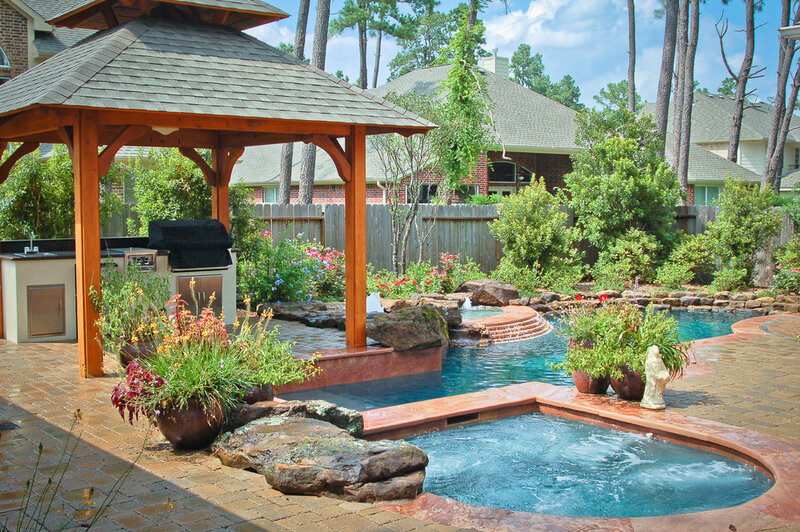 This is a feature unseen in any other backyard in The Woodlands – outdoor air conditioning.With our environmental cool air technology, a large fan rotates behind a running wall of water. This water cools the air current, making it feel up to seven degrees cooler. 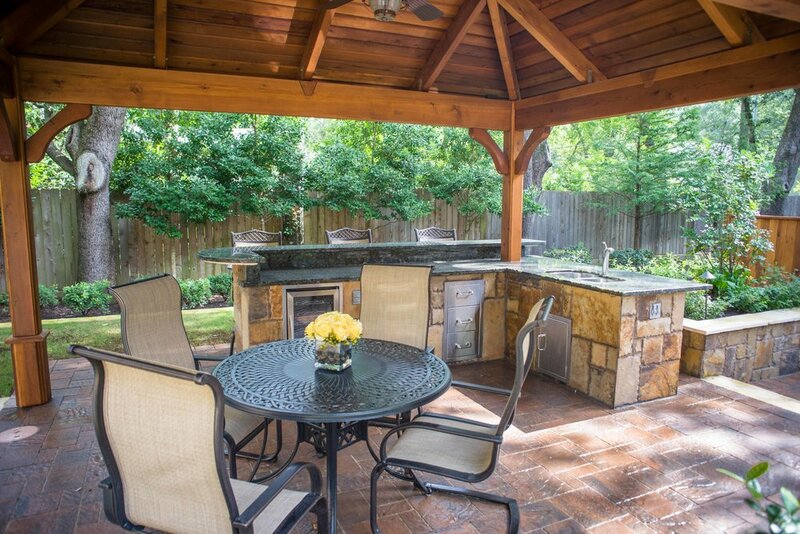 So if you think that you can’t enjoy a outdoor lifestyle simply because you live in hot and humid suburban Houston – think again. 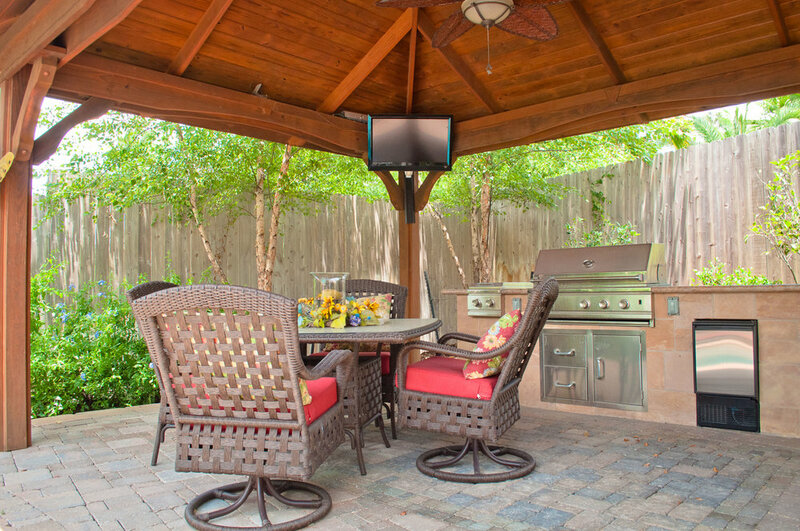 Like all of our designs, our gazebos and outdoor kitchens are built to be used and lived in. 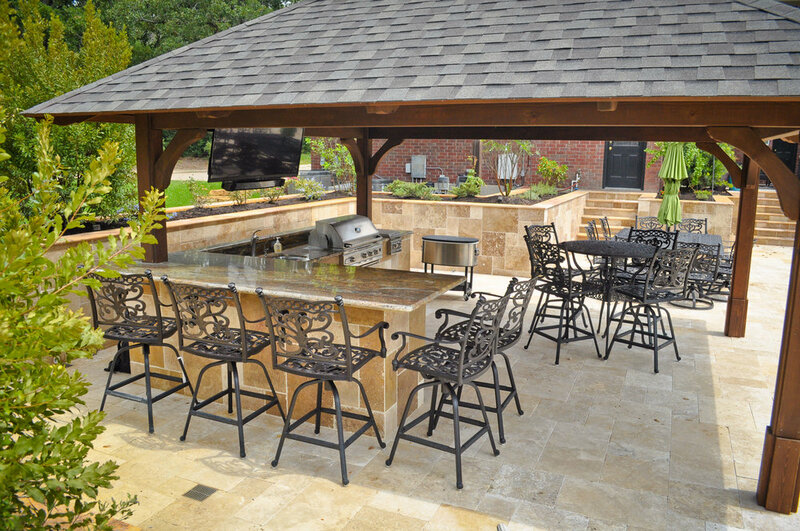 If you want to experience for yourself outdoor air conditioning give us a call or fill out our Design Questionnaire.